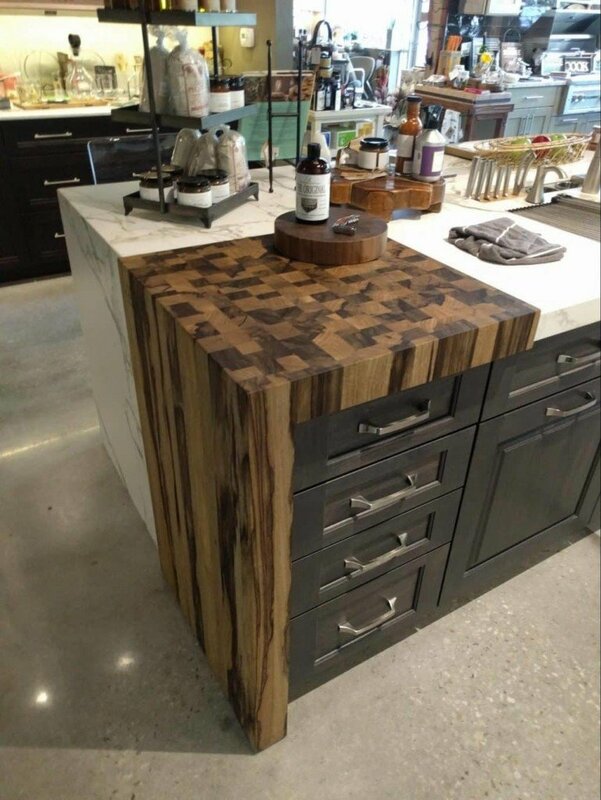 Love this butcher block top with a waterfall edge! It just fits over the edge of the counter and can be easily removed. 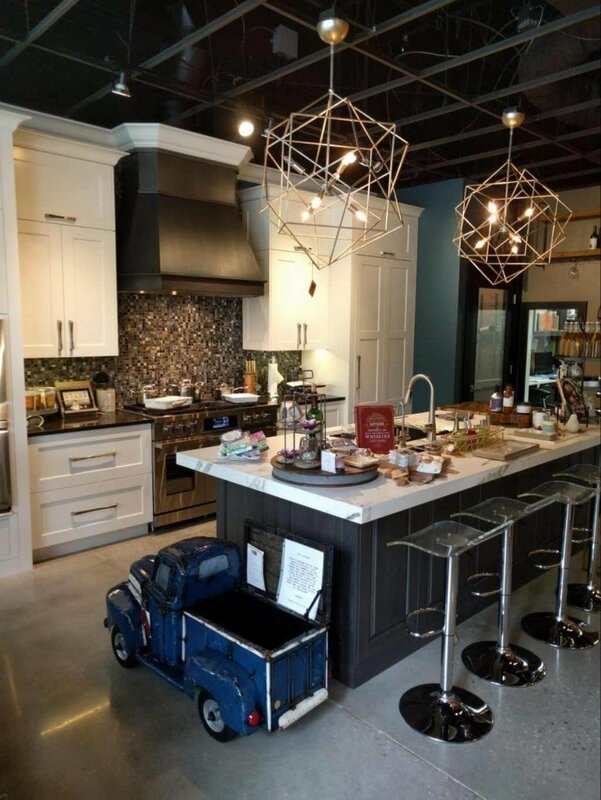 This weekend on the way back from SEBC I stopped in to visit the kitchen and bath showroom called Haile Kitchen and Bath. 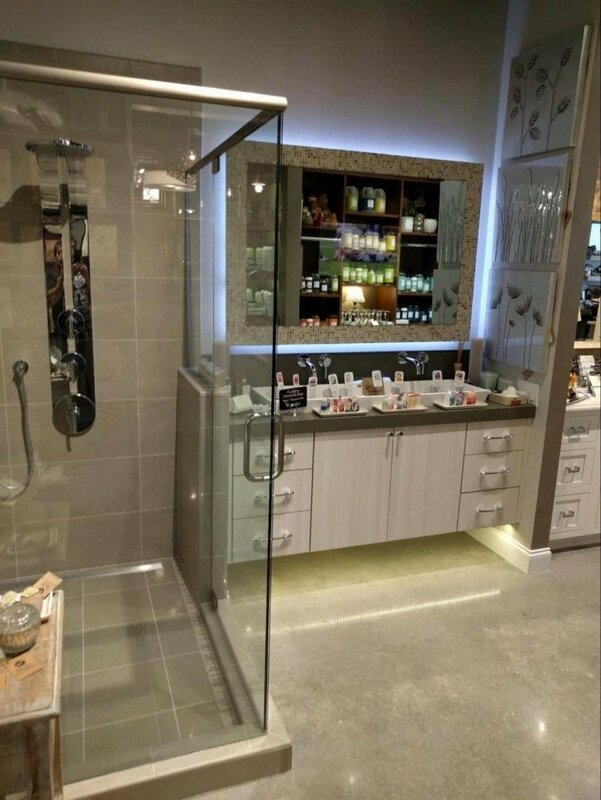 We are planning to open a kitchen and bath showroom next year and my tile rep told me Haile Kitchen and Bath was unique and worth a visit. I’ve always been disappointed in the local kitchen and bath showrooms in Tallahassee. 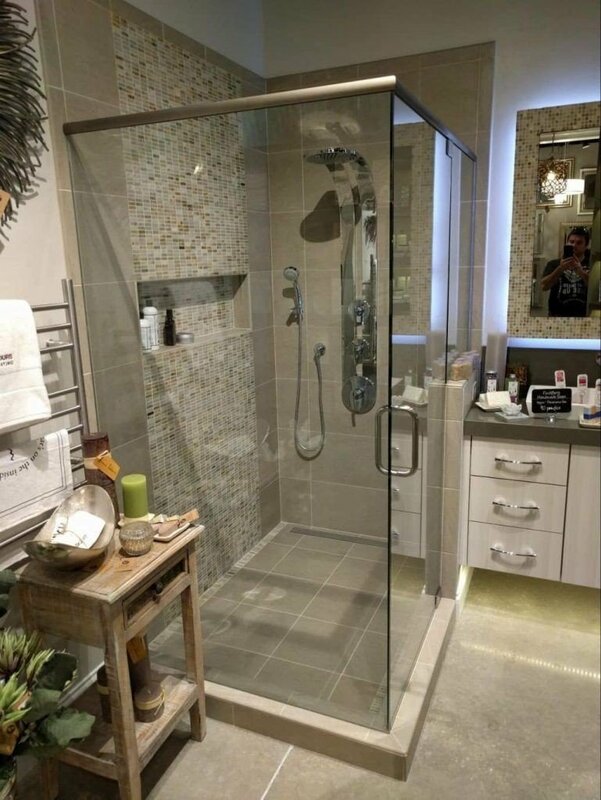 Most focus on displaying one or two cabinets vignettes and pay little attention to bathroom furniture or fixtures. They also do a poor job of showing customers new ideas and the latest trends in the industry. 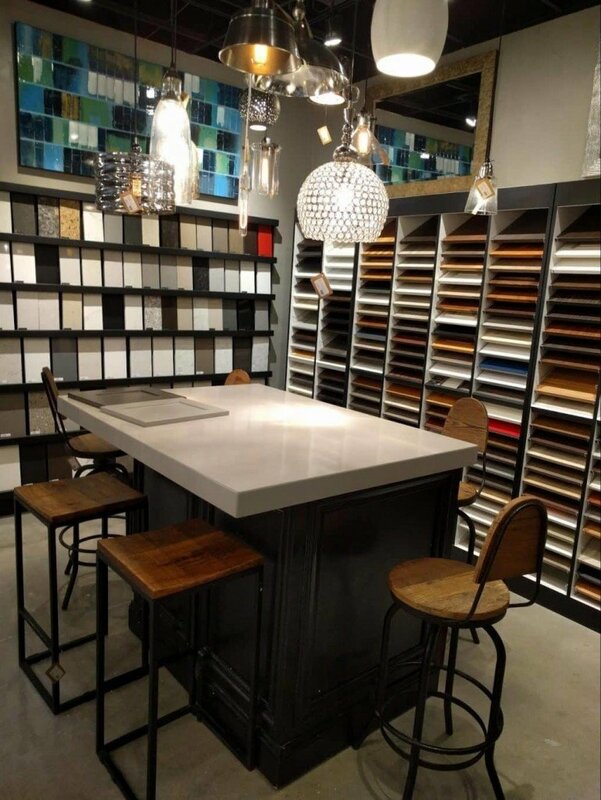 The Haile Kitchen and Bath Showroom is located in Gainesville, FL and they take a different approach than many other showrooms I’ve visited. 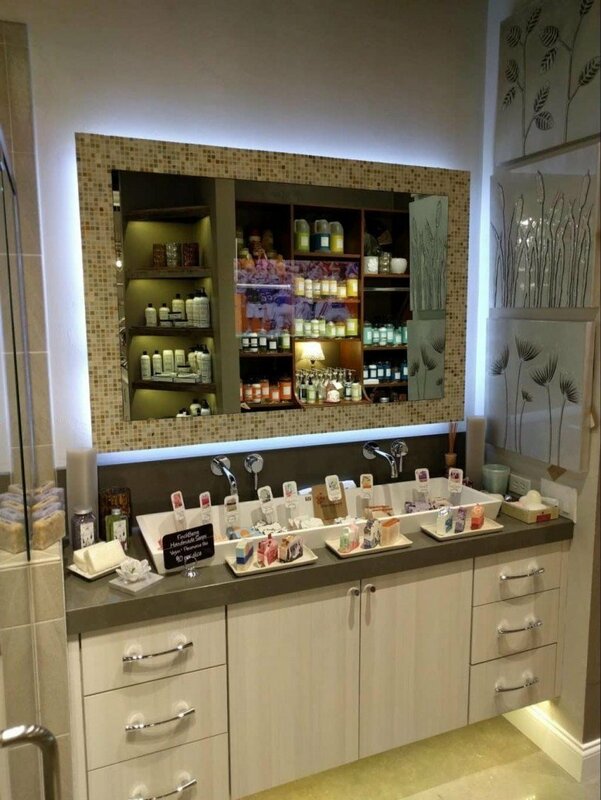 What they have done is fill their showroom with lots and lots of accessories for your home. It gives the place a bit of a cluttered feel but at the same time there is so much to look at! They also have several very nice vignettes for both the kitchen and bath. Can you spot where the refrigerator is? 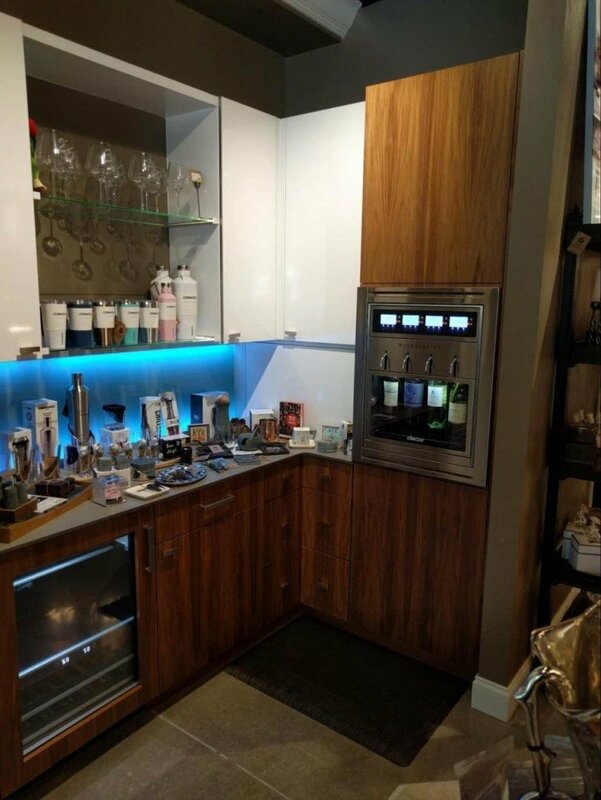 Who couldn’t use wine on demand!? Its hard to see but there is a TV in the center of that mirror (its actually behind the mirror) Watch the game while you watch yourself in the mirror!